In a simple and direct conversational manner, Pope Francis discusses the subject of mercy, long the cornerstone of his faith and now the central teaching of his papacy. 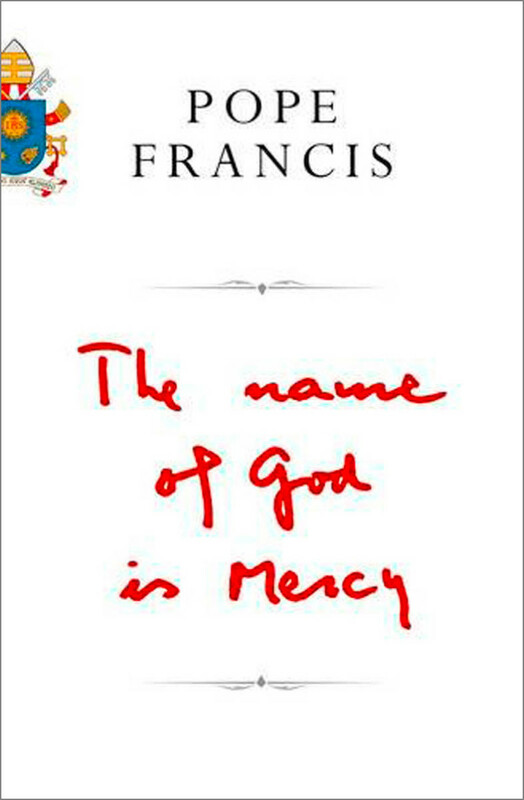 Through personal anecdotes, biblical references, and in response to key questions from Vatican reporter Andrea Tornielli, Francis explains his reasons for proclaiming a Holy Year of Mercy. He reiterates that the Church cannot close the door on anyone and that, on the contrary, its duty is to find its way into the consciousness of people so that they can assume responsibility for their actions. This book will be released worldwide on January 12, 2016. Question-and-answer sessions, spread over 150 pages, usually feel clumsy and can be an ordeal to plough through, but Francis’s chatty tone, his repeated references to episodes in his own life and his clear, down-to-earth language, so rarely found in papal pronouncements, make The Name of God Is Mercy a pleasure to read. The Pope has an easy conversational style that moves effortlessly between folksy sayings and erudite allusions, between common-sense logic and impassioned philosophical insights. What makes his book most moving is the way in which this man, without disrespecting his own privacy or offering false bromides of modesty, opens the sacred space of his conscience to explain how he came to center his ministry, and now his papacy, around mercy.